With the first post in our eCommerce series, we wanted to focus on a factor that plays a significant part in online sales: your eCommerce store’s design. A well-optimised website could mean the difference between a paying customer or lost opportunity. So without further ado, here are a few design factors to consider for your eCommerce store. 1. Does your landing page / homepage clearly show your value proposition to the visitor? Many eCommerce stores get lost in the details of design, what colours to use, branding and so forth. But the single most important factor to consider first, is whether your visitor knows what your website is selling the moment they load the page. Whenever a new visitor gets to your store, you have approximately 3 seconds to show the user what your website is about and convince them to continue browsing through your products. Any longer than this and there is a good chance that these new users will “bounce” off your page and do something else. So the goal of your homepage or landing page should be to convey your value proposition within 3 seconds. the benefits of using your products. 2. Images vs. text product descriptions – which is better? 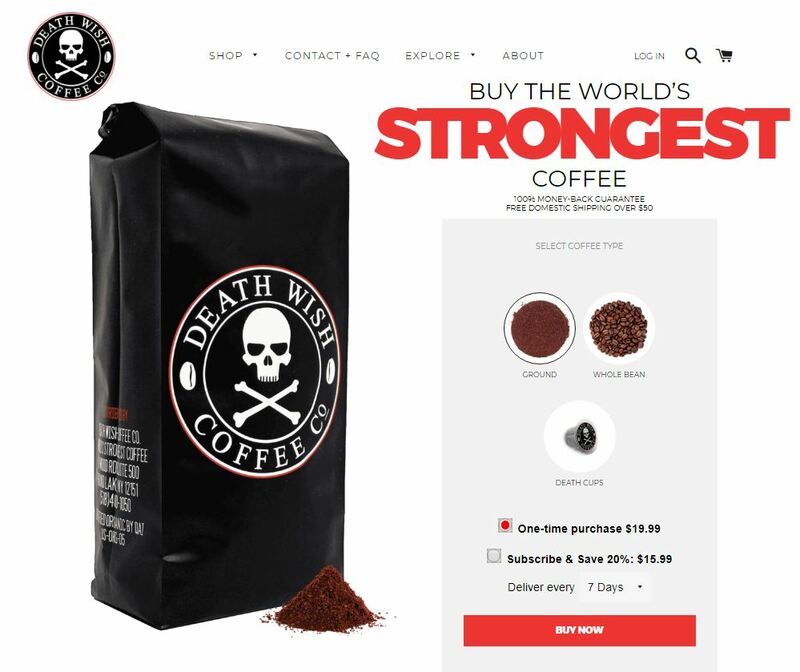 Should your website’s product descriptions focus on images or on text? The answer is: it depends on what products you offer. If you are selling a product that depends more on visual factors like colour, texture etc. then you should provide high resolution images. However, if your products are more sophisticated (e.g. desktop PCs), then you’ll find that people are mainly looking for product specifications. In this case, you should focus more on the description of the product. Whenever possible, get the best of both worlds by providing both high quality images and plenty of text information. The goal is to let your customer make a buying decision without having to look elsewhere. 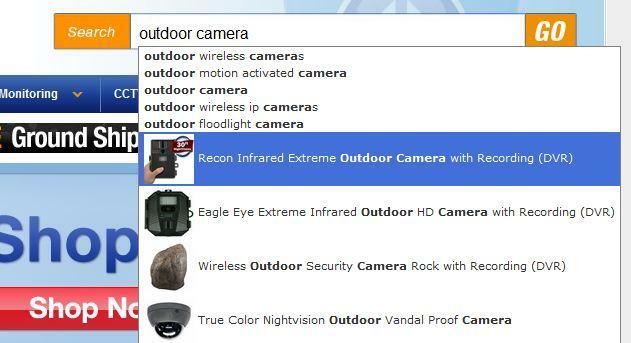 If they have to browse on Google for more info, they may end up purchasing the item off another website. It’s important to note that many consumers today are savvy and will do comparison shopping online. In light of this, providing plenty of information, images and having great product differentiation will help you stand out from your competitors. *Bonus design tip* Should my eCommerce store use Grid-based or List-based product pages? If your product is primarily visual, grid-based product pages will do fine. But if your users need more detailed information (as discussed above), then a list-based product page will provide a better user experience as you can add a text excerpt to the product listing. One of the best ways to increase online sales is to increase the average order value per customer. This can be achieved by designing your website in a way that product recommendations are made to the user (called cross-sells, upsells and downsells depending on the relative pricing of the product). They do this because they know that the easiest point to make an additional sale, is when the customer is making a buying decision. This is because the customer has already made a commitment to purchase an item. It is much easier to convince them to make another add-on purchase, rather than to convince a brand new customer to buy another product. Depending on the platform your eCommerce store is on, there will be a range of plugins or apps that allow you to give product recommendations. If you are on Shopify, Personalizer allows you to give product recommendations. For upsells, there are a wide range of apps you can choose from to suit your needs. For WooCommerce users, there are several related products plugins you can use here. With the majority of people in Australia having access to smartphones and tablets, mobile optimisation is a critical factor. Most pre-built themes are already designed to be mobile responsive – however they may not be optimised for mobile devices. 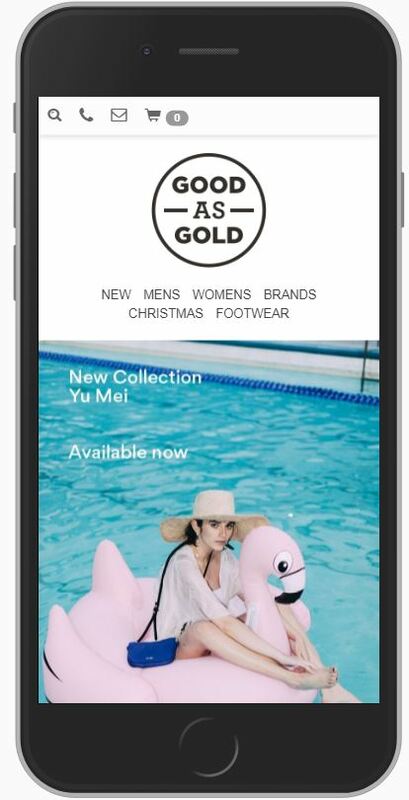 For example, the store below has a mobile responsive website (i.e. it adapts to screen size), but it is not optimised for a great mobile experience. The header logo is taking up too much space, the navigation bar is difficult to use and the value proposition is unclear. The user must scroll or navigate to find out more about the product (at which point they may prefer to “bounce” off and do something else). 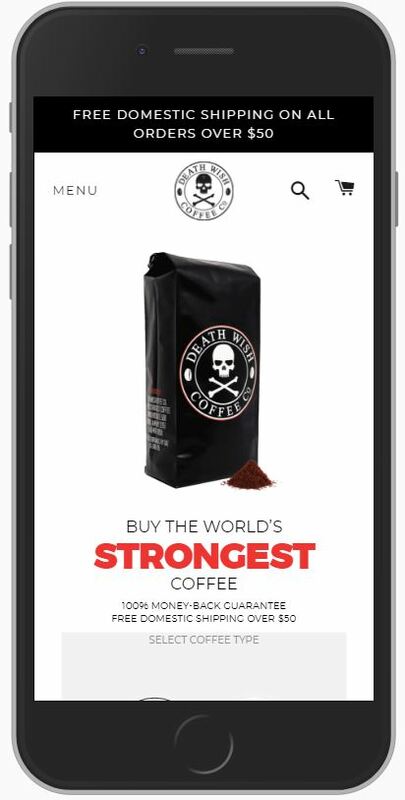 On the other hand, Death Wish Coffee does another great job at optimising their mobile experience, just like they have done with their desktop version. The value proposition is clear and the user doesn’t need to scroll further to find out what the product is about. ConversionXL found that having product images show up in the search bar boosted overall site search rates by 15%. Your search bar should be in a prominent position – more so if you have a wide range of products that the customer must search through. In addition to this, ensure that search results are intuitive (so if they search for “pants,” the search results should show pants, shorts, jeans etc.). It also goes without saying to have good product titles so when people search on your store, they can find what they’re looking for. Hopefully these 5 points inspired you to optimise and make changes to your eCommerce store. Before you make any changes, ensure you have a reliable baseline to compare to (so you know for sure that the design changes made a statistically significant impact on conversions). Most eCommerce platforms have some sort of analytics and you can also install Google Analytics for further insights. Remember, when in doubt, split-test the designs to see which is performing better for your customers. If you need any assistance with designing your eCommerce Store, please don’t hesitate to get in touch with us.